I agree…fired rice is not fried(in most cases) I love love love fried rice at home!!! Yours looks perfectly done! I am intrigued that you ever thought fried rice was deep fried or that you automatically avoid anything with the word fried in it generally. While deep fat frying might not be your thing (although when done properly even deep fat fried foods should not be greasy) pan fried foods don’t necessarily mean lashings of oil. Oh my gooooooorsh, this looks insanely good. Thanks Susie. In general I am very careful with how much oil I use when I saute so I actually did know this. But thanks for the reminder! Oh I will be making this for sure. 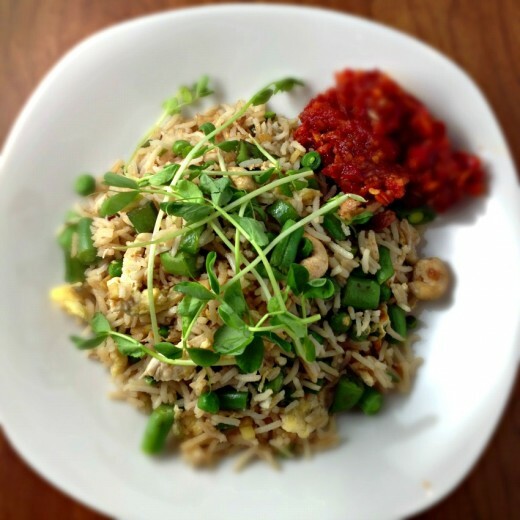 We love fried rice and often have it when I have made to much rice and we have it leftover. Yum.. I have the same motto about food – desserts are almost always worth it and fried just isn’t. Because at this point, it does just make me feel ill. I’ve avoided fried rice for pretty similar reasons. I think I’ve made it once…and didn’t fall in love. But I should definitely give it another chance if this fried rice passes in your book! I don’t eat fried or cream sauce anymore either; I totally feel sick after eating those things too! But when I make fried rice, it’s similar to your method. 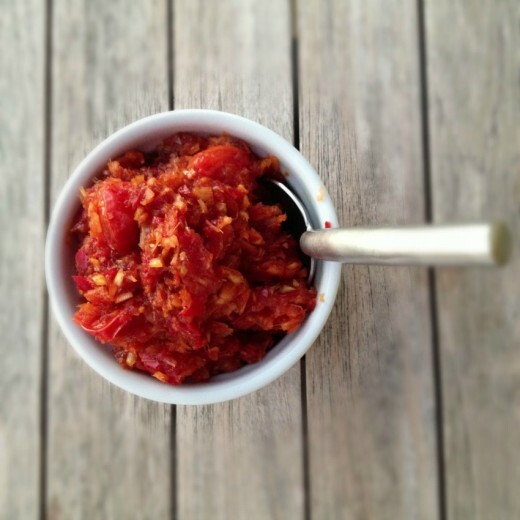 That chile tomato jam sounds amazing too!